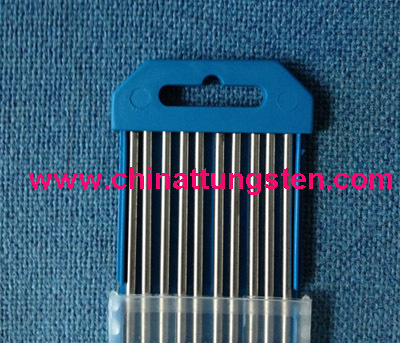 Silver tungsten electrode is alloy of tungsten and silver, also called silver tungsten bar or silver tungsten rod. Silver tungsten electrde is feature with high arc corrosion, high hardness, nice electrial conductivity and high fusion welding resistance ect. Because of the mutal solubility of tungsten silver is too low, silver tungsten electrode only can be manufactured by powder metallurgy and pressing method.